Three grave crimes have cast a shadow over the start of the Bulgarian EU presidency and have highlighted the enormous deficiencies in the country’s law enforcement, dating back to before it became a member of the EU. On New Year’s Eve night, the worst murder in the last decades occurred – six people were shot while celebrating in their house in Novi Iskar, a few kilometres from the centre of Sofia. On 8 January, an influential businessman close to the ruling GERB party was assassinated in the capital. Before that, on 18 December, a high-ranking tax officer, who is still in critical condition, was shot at in downtown Sofia. The authorities have no explanation for these crimes for now and panic in Sofia is growing because the return of high-profile killings is harming efforts to present a positive image to the European partners. The events prompted President Rumen Radev to take an unusual step and call the interior ministry leadership to discuss the situation. 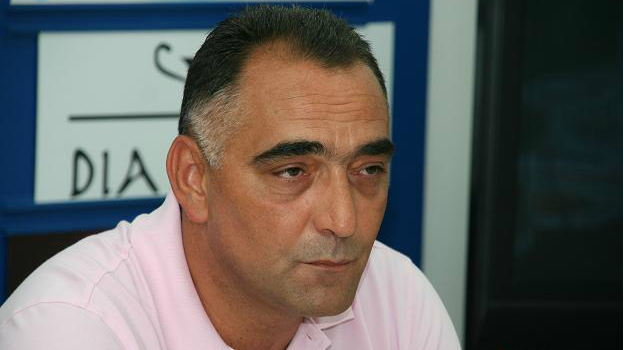 The murder of businessman Petar Hristov is emblematic for Bulgaria. He was considered one of the most influential people in the country and was known for his close friendship with the chairman of the parliamentary group of GERB and former Interior Minister Tsvetan Tsvetanov. On 8 January, the 49-year-old businessman was shot dead in front of his office in Sofia. It happened at the very start of the Bulgarian EU Presidency and a day before the meeting of the National Security Advisory Council, chaired by the president of Bulgaria, which discussed the country’s role in the common defence of the EU. The police in Sofia suspects that the assassination was ordered because of business interests. A top Bulgarian businessman was killed in broad daylight in the capital Sofia yesterday (8 January), police said, highlighting the country’s persistent problem with organised crime only days after the country took over the EU presidency. Some fear that the businessman’s past cooperation with law enforcement in disclosing serious crimes could be a motive for his murder. Last September, he was named by a former high-ranking police officer as the person who contributed most to the disclosure of the so-called “Impudent” kidnapping gang (Naglite). A large number of the “impudent” were imprisoned, which is one of the greatest successes of Bulgarian law enforcement in recent years. Hristov’s assassination took place at a time when two of the gang members were spending their last days behind bars. Numerous publications indicate that Hristov was part of one of the two largest gangs in the country in the 1990s – SIC [the other gang is known as VIS]. He later became a rich businessman and a major donor to the ruling GERB party. In 2007, his company, PH Finance, made the biggest donation to the party – 30,000 leva (€15,500), which were used for the European Parliament elections. 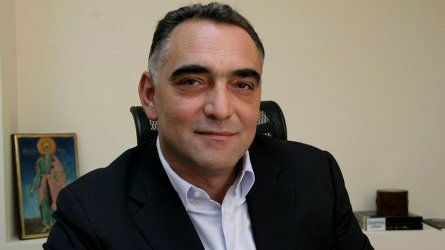 According to many, Hristov was the most influential person in Veliko Tarnovo region and one of the most influential in the whole of North Bulgaria. Hristov started his business career in the security business in 1991, after ending his career as a military officer. In 1996, he bought one of the largest dairy factories – Lactima Balkan – and eventually diversified his activities with construction, the hotel industry, insurance and even publishing. He was a manager, partner or owner of more than 52 companies. His miscellaneous businesses were grouped under the holding structure PMG. Hristov’s assassination reminded many in Bulgaria of the period 12 years ago when the country desperately needed a positive image in its EU accession talks. Now the country needs the same again because of the presidency and its efforts to join Schengen. In 2005, the EU had to decide whether to postpone the accession of Bulgaria and Romania because of top-level corruption in both countries. But the authorities in Sofia also had a serious problem with organised crime, which was absent in Romania. Then, four major contract killings took place in Bulgaria. The banker Emil Kyulev and the criminal bosses Georgi Iliev and Anton Miltenov were liquidated. At the beginning of 2006, another symbol of the Bulgarian underground was killed – Ivan Todorov. For the past 25 years, more than 150 contract killings of prominent businessmen and gangsters have taken place in Bulgaria but the authorities have only been able to resolve a few. In 2006, the EU made a political decision to accept Bulgaria as a member although the country did not meet the basic rule of law criteria. The compromise included the monitoring of the law-enforcement system. On 18 December, Ivo Stamenov, a high-ranking head of the tax offices and a former policeman, was shot in Sofia when a bullet pierced the glass of his expensive BMW X5 SUV. Officials said the assassination attempt was related to his work. He was in charge of the Fiscal Control Directorate, which fights VAT fraud. Prime Minister Boyko Borissov vowed that the crime would not go unpunished. Finance Minister Vladislav Goranov added: “This was a shot against the state.” A month later, the authorities seem to be overwhelmed by the new crime problems and Stamenov is still in critical condition. The series of serious crimes has become the most serious problem for Borissov at the beginning of his European Presidency. Bulgaria is trying to demonstrate a very active foreign policy and playing the role of a bridge between the EU, the Western Balkans and Turkey, but the domestic situation in the country has the potential to darken these efforts. In the latest report on Bulgaria, the European Commission wrote that there was a reduction in “visible violence” in the country, which the authorities in Sofia took as a compliment as they have finished with organised crime. The series of high-profile murders, however, is likely to bring this issue to EU’s attention again. But politicians are humble and honest. So why not giving them some more money and let them in….then when they get rich they can manage on their own, and let the EU do its thing…. At this point it’s like throwing money at a cocaine addict.